The Nile, the world’s longest river, begins its 6,650 km (4,130 miles) long journey to the Mediterranean in Jinja. Jinja also happens to be one of the nicest towns in Uganda. All in all, a wonderful day visit destination! We will collect you from Entebbe (8am) or Kampala (9am) and take you first to Mabira Forest. An impressive ecolodge awaits deep in the forest, our place for a drink on the way. 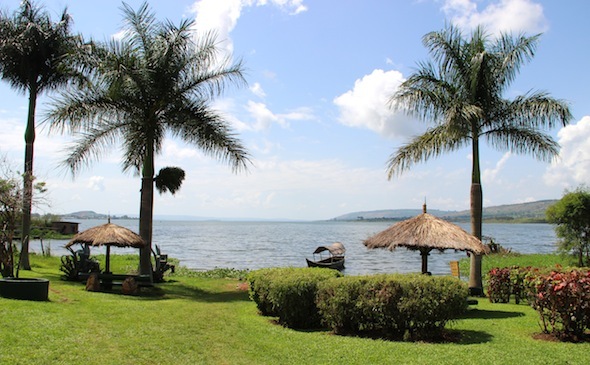 By midday we will be on the Nile – but not where most people go! The town of Njeru lies on the western bank of the river and actually offers a nicer source of the Nile viewpoint. Moreover, a beautiful resort called Kingfisher is located nearby, our place for lunch or a snack. In the afternoon we will cross the river and have a walk on the streets of Jinja, a town that is historically Indian but is now most popular among the Bazungu (white people) who like to settle here and enjoy the town’s slower pace. On the way back to Kampala/Entebbe we will pay a visit to the pretty Ssezibwa Falls, a cultural site of the Baganda tribe.